Bedford Skin Clinic offers Obagi Nu-Derm® treatment under medical supervision. 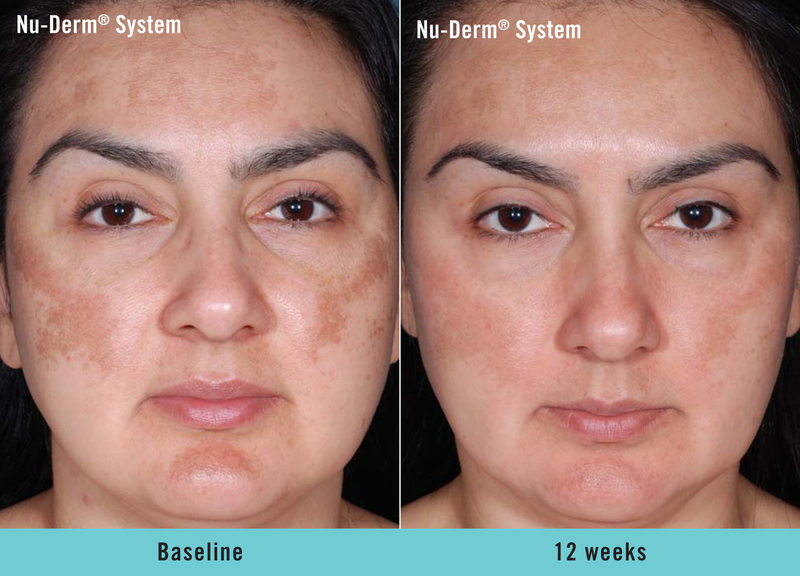 Nu-Derm® is the one of the most effective skin treatment available for rejuvenation and hyperpigmentation and is considered to be a gold standard treatment by dermatologists, plastic surgeons, and skin professionals around the world. Many components of the system are prescription only products and require supervision by a qualified practitioner who has specialised training and experience in the use of these products. We provide a free follow- up service while you are using these products. Nu-Derm® works at the cellular level in renewing skin, improving skin function, strengthening skin, and maintaining skin’s youth and vitality. It is the only system available that removes damaged skin layers, bringing new, healthy, vibrant and younger looking new skin. When used properly, notable improvement can be seen in as little as five to six weeks after beginning the treatment. There are three distinct stages associated with Nu-Derm® use: Repair stage, Improvement stage, and Final stage. In each stage the skin moves through its transformation, until healthy skin is achieved. Use of sun protection is essential when Obagi Nu-Derm system. This stage is associated with redness, dryness, and exfoliation, referred to as skin reactions. These reactions can be controlled or minimised to an acceptable level to accommodate an individual’s lifestyle. Reactions in the repair stage are associated with the amount of cream that is used; the more cream used, the more of a reaction. Likewise, the less cream used will result in less of a reaction. At this stage, if creams have been applied correctly, damaged layers of skin have been removed and replaced with new, healthy skin. Skin is strengthened, and reaction is less evident. Obvious improvement in the skin can be seen at this stage. At this stage, skin is renewed and medical objectives have been achieved. The time it takes to achieve the best possible skin condition is variable and depends on the skin damage before starting the treatment. After the treatment is complete the doctor will usually recommend a maintenance program.